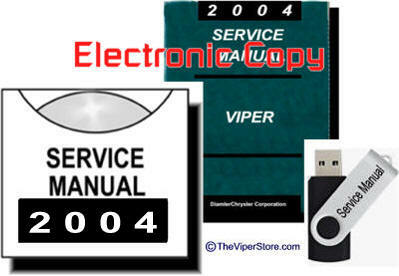 IH-V3-2003-ESM Dodge Viper SRT-10 Coupe & Convertible Service Manual 2003 Factory Service Manual in CD or USB Thumb Drive format.. Factory Original Service information is divided into groups, which contain description, operation, diagnosis, testing, adjustments, removal, installation, disassembly, and assembly procedures for the systems and components. Also contained in these groups is all relevant basic diagnostic information. 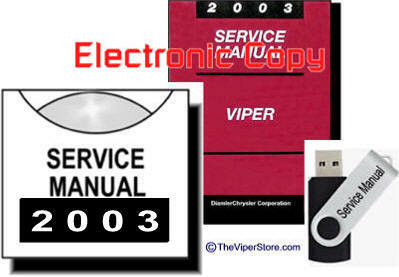 IH-V3-2004-ESM Dodge Viper SRT-10 Coupe & Convertible Service Manual 2004 Factory Service Manual in CD or USB Thumb Drive format. Factory Original manual. Complete wiring diagrams for systems. Power & Ground distribution, Bus communications, charging system, theft security system, instrument cluster, fuel/ignition system, starting system, horn, heater, a/c, occupant restraint system, lighting and much more. IH-V3-2005-ESM Dodge Viper SRT-10 Coupe & Convertible Service Manual 2005 Factory Service Manual in CD or USB Thumb Drive format. IH-V3-2006-ESM Dodge Viper SRT-10 Coupe & Convertible Service Manual 2006 Factory Service Manual in CD or USB Thumb Drive format. *As of 2008 Dodge only offers service manuals in CD format. 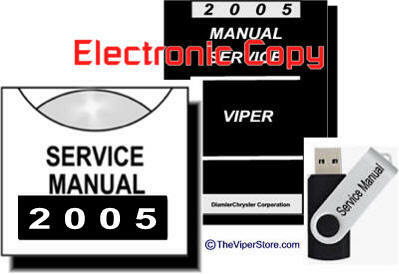 IH-V3-2008-ESM Dodge Viper SRT-10 Coupe & Convertible Service Manual 2008 CD or USB Thumb Drive format. 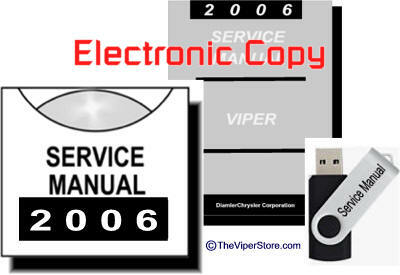 IH-V3-2009-ESM Dodge Viper SRT-10 Coupe & Convertible Service Manual 2009 CD or USB Thumb Drive format. 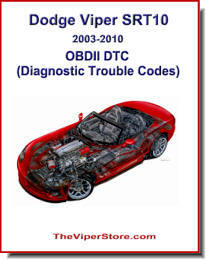 IH-V3-2010-ESM Dodge Viper SRT-10 Coupe & Convertible Service Manual 2010 CD or USB Thumb Drive format. We have Many other Viper manuals not listed. Give us a call for other manuals.